Harry is not remembered on the war memorial at Christchurch Park. Born: 16th May 1899, Ipswich. 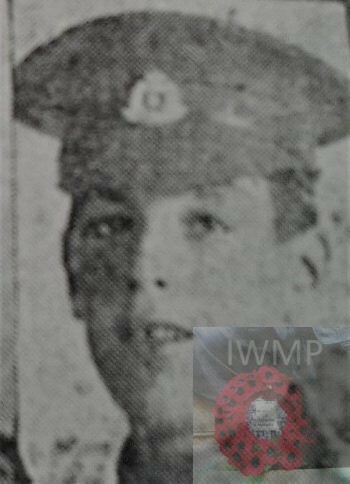 Died: 16th August 1917 Death presumed ; age 18. Rank: Private; Service Number: 260036. Regiment: Gloucestershire Regiment, 1st/5th Battalion. Formerly Private, 240722, of the 1/4th Suffolk Regiment. Medals Awarded: Victory and British War. Brother to CHARLES VICTOR SNELL SMITH. CENSUS Harry’s father and siblings were all registered at birth as Smith (the surname of his paternal grandmother), on the census the family name was Snell (the surname of his paternal grandfather). 1901 12, Hill Street, St. Helen’s, Ipswich. Harry was a year old and living with his parents. 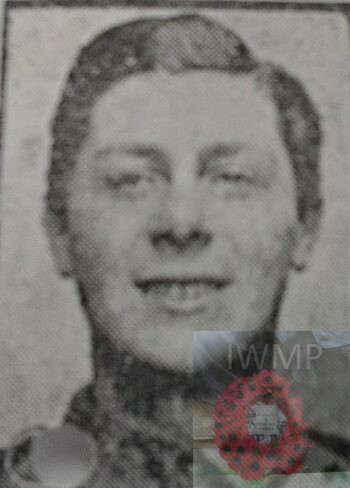 Charles Henry Snell, 24, a Stoker – Stationary Engineers, born Lavenham, Suffolk. Alice Snell (nee Staff), 28, born Ipswich. Harry was 11 years old and living with his parents, siblings & his visiting maternal aunt. Charles, 34, a Factory Manager – Clothing Manufacturers. Frederick Gordon Snell, 9, born Ipswich. Ivy Grace Snell, 6, born Ipswich. Donald Edwin Snell, 1, born Cambridge, Cambridgeshire. Ruby Alice Mary Snell, 1 month, born Barrow. Mary Ann Bloomfield (nee Staff), 47, born Ipswich. 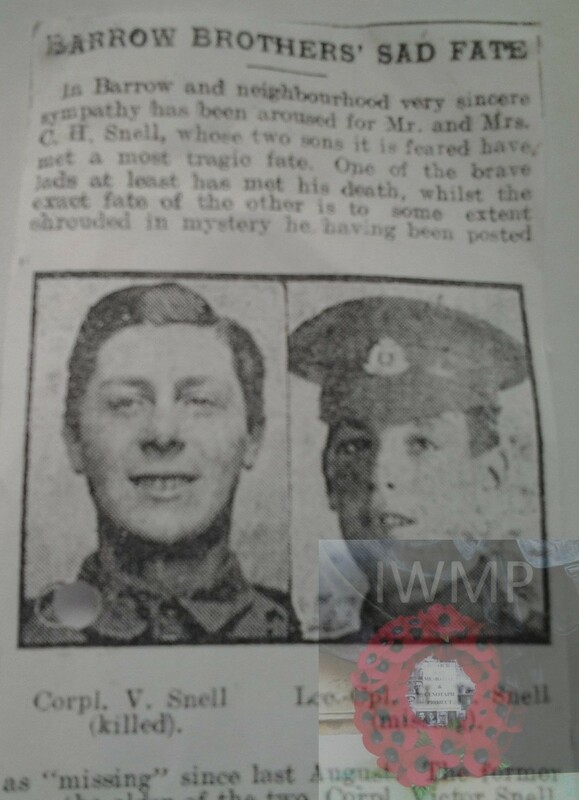 Soldiers Effects to Charles Henry Snell – father. Harry and his brother Victor are remembered on the war memorial at Barrow, Suffolk.